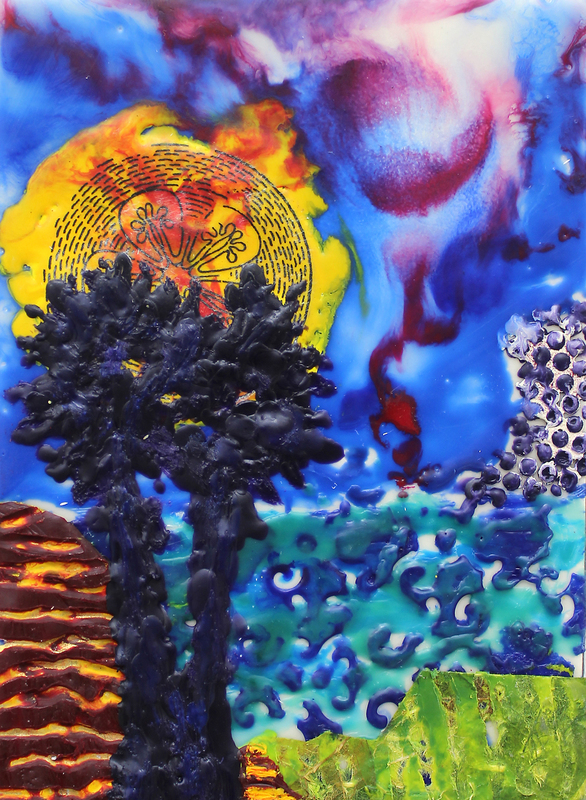 Galleries of student artwork and images of the students with their artwork, accompanied by a description of the encaustic art workshop environment. 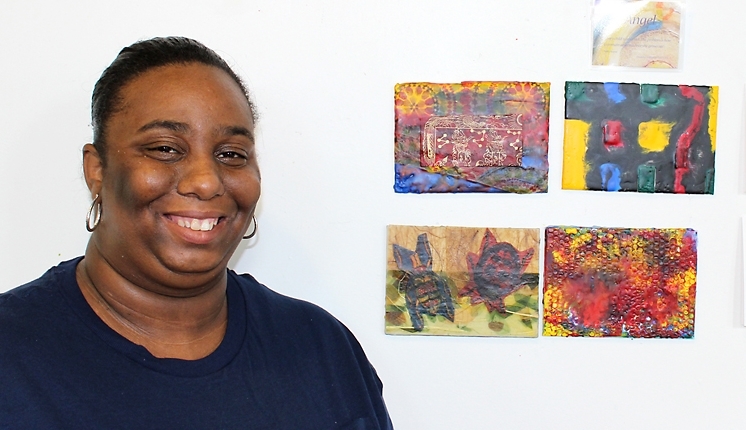 "I meet each student where they are with respect to confidence, art experience, focus, and learning style. 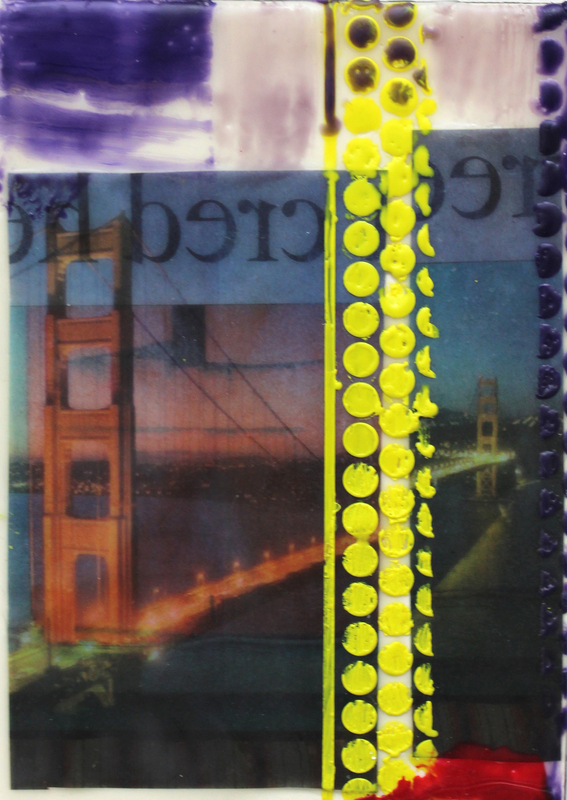 Every student is unique and it's my job to find the best way to support them as they learn to translate specific techniques into their own creative vision. 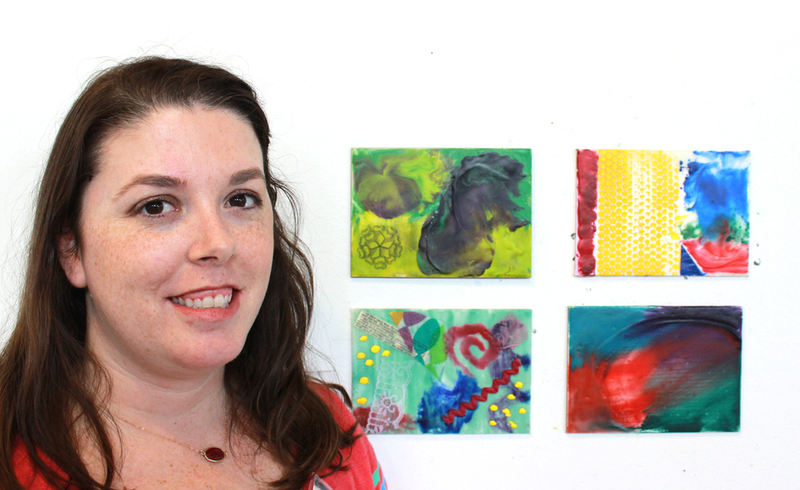 Come learn with us!" 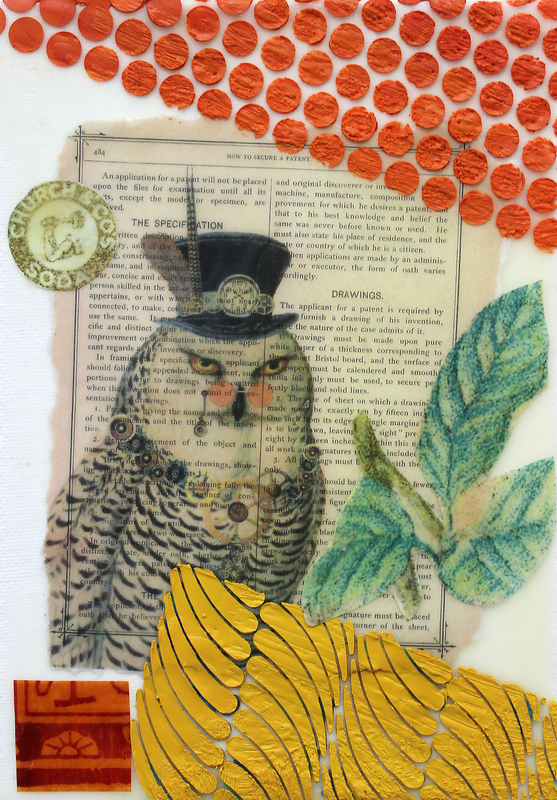 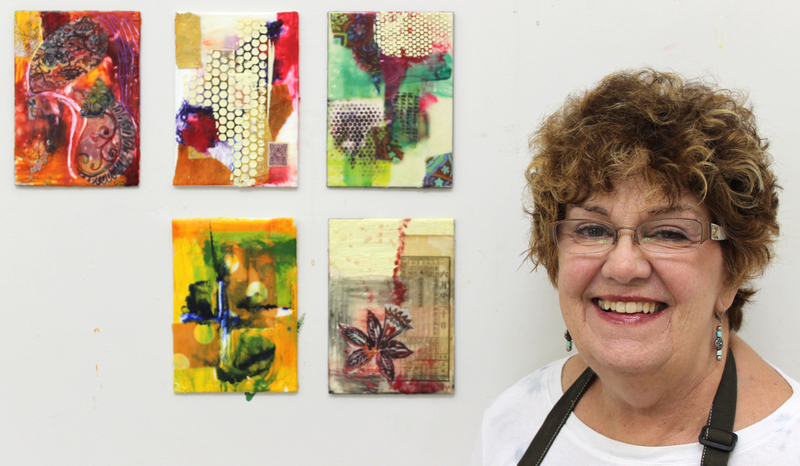 Rhonda Raulston’s encaustic workshops provide an environment where creative light bulbs switch on all day long. 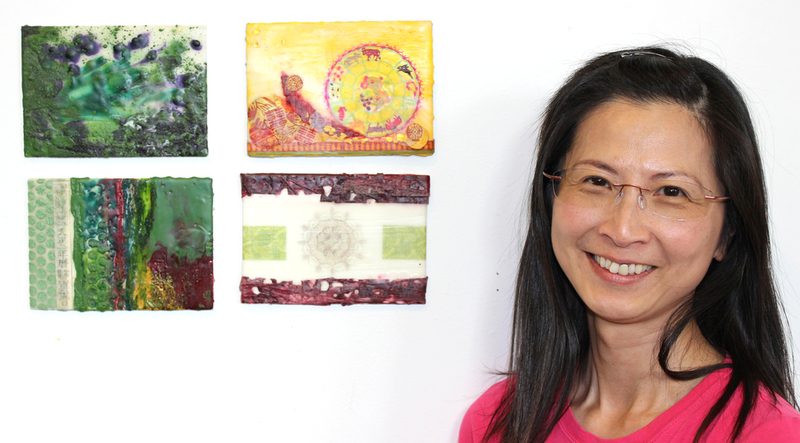 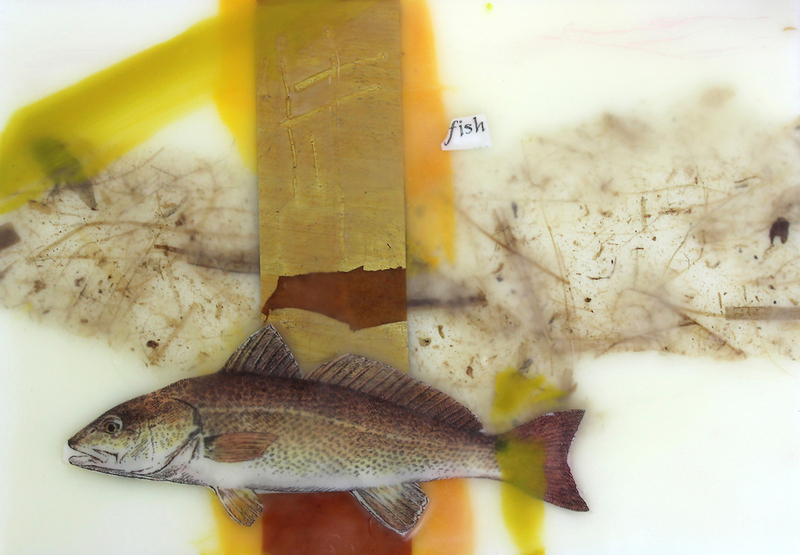 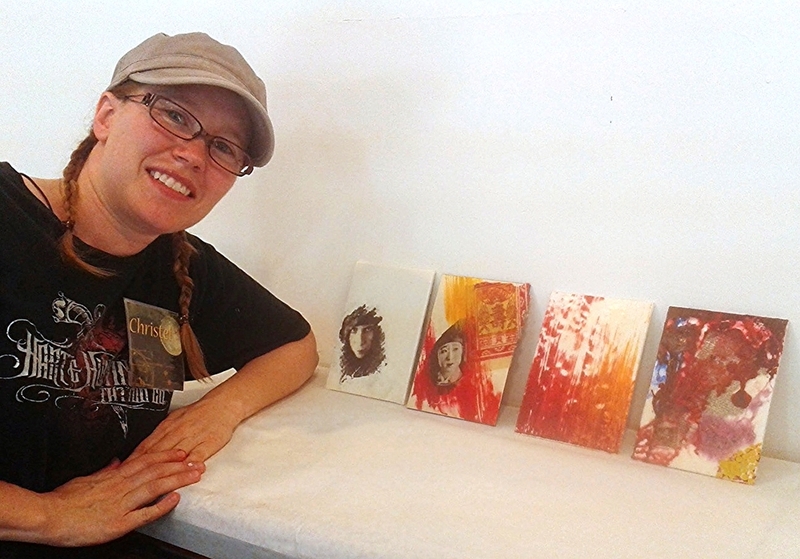 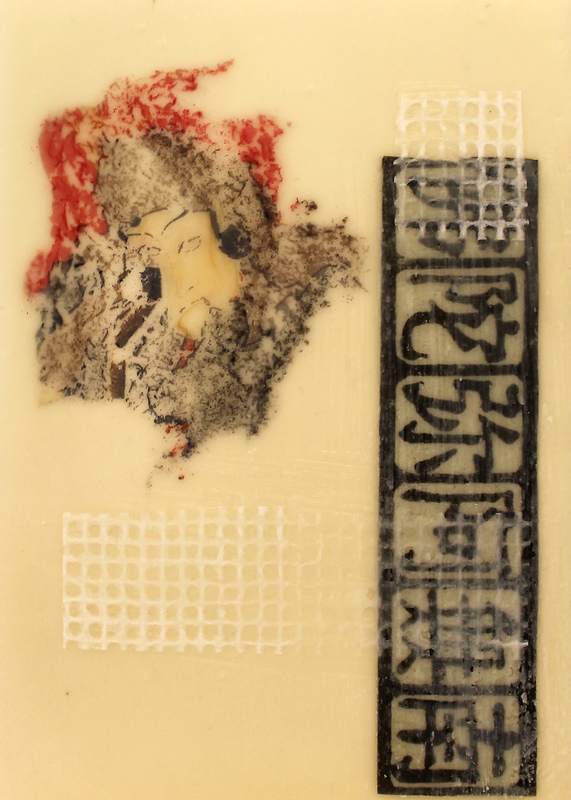 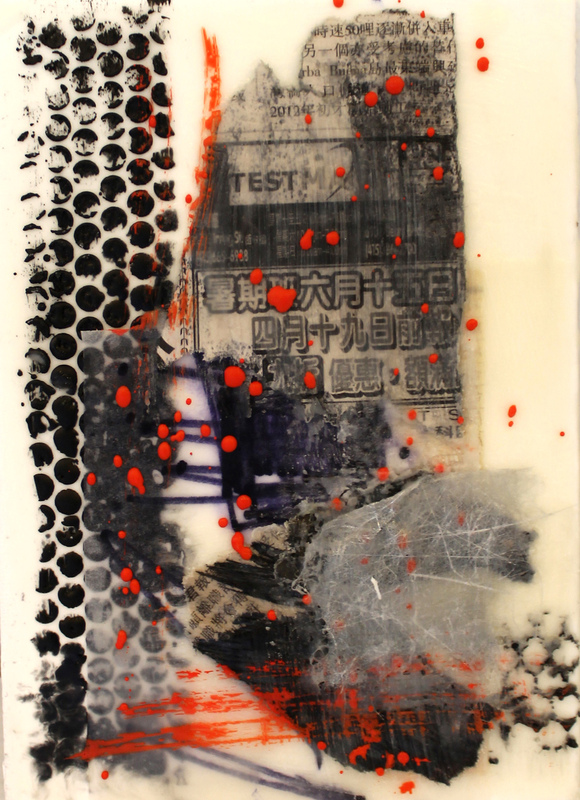 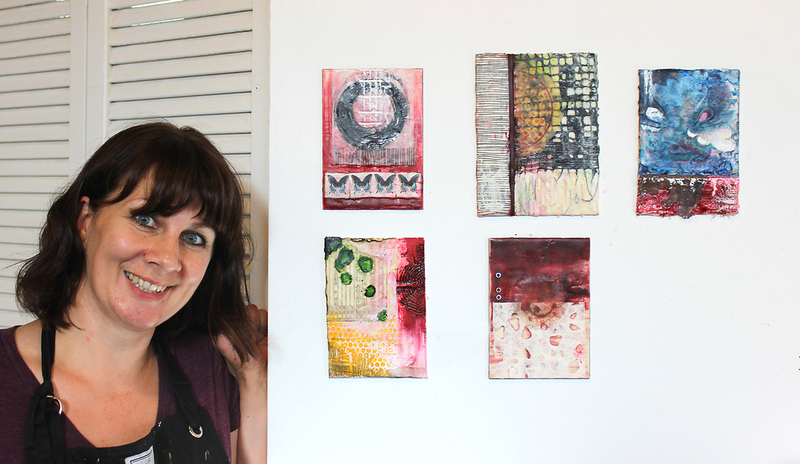 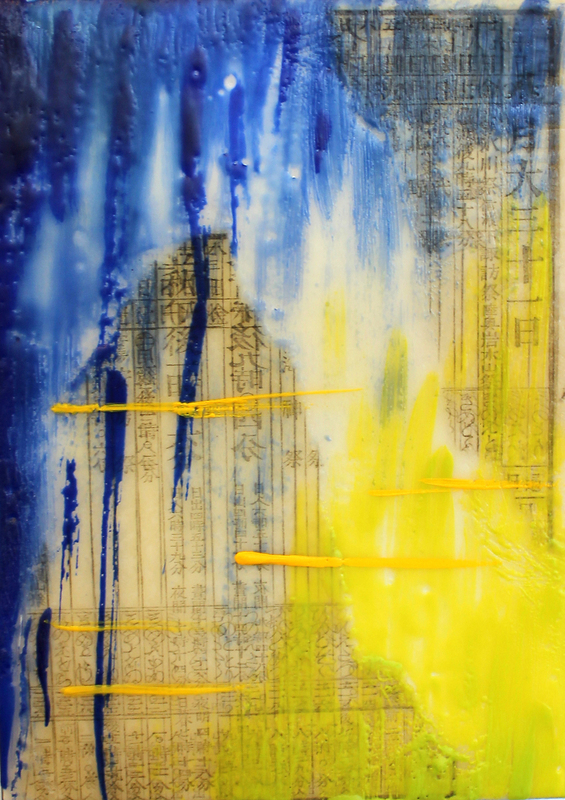 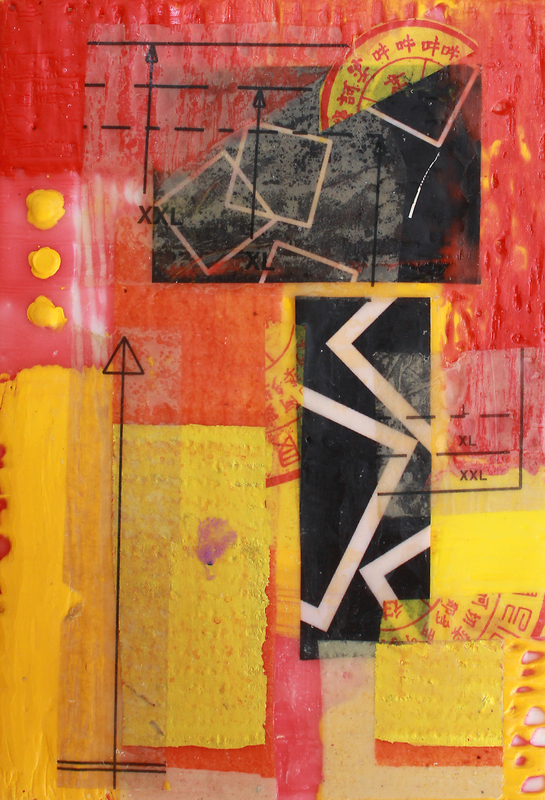 Infused with the joy of encaustic medium, Rhonda’s enthusiasm is infections and inspirational. 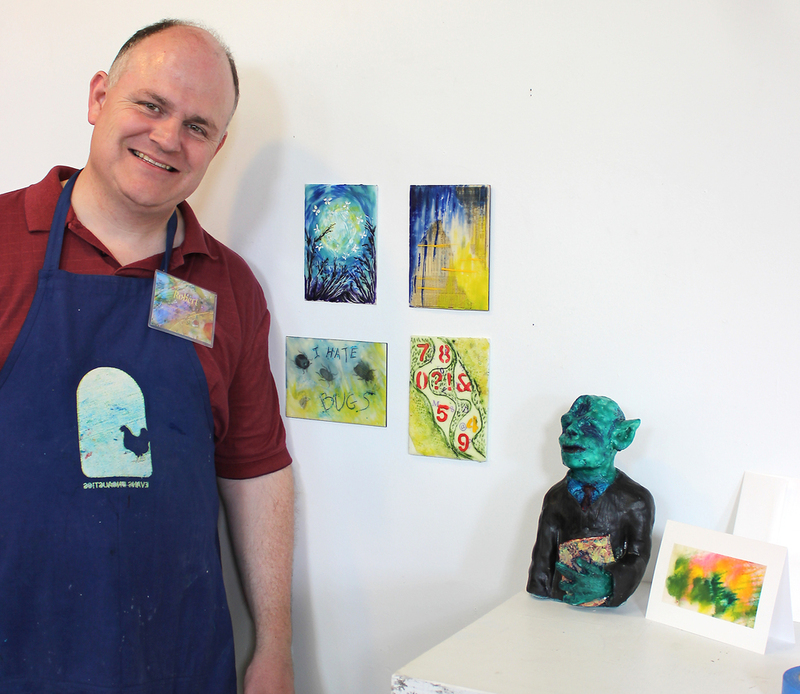 The workshops are open to all levels of students. 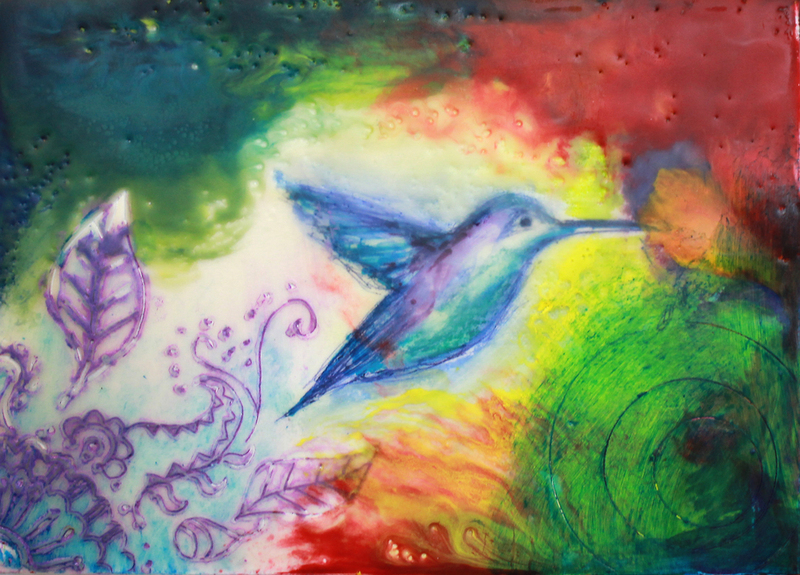 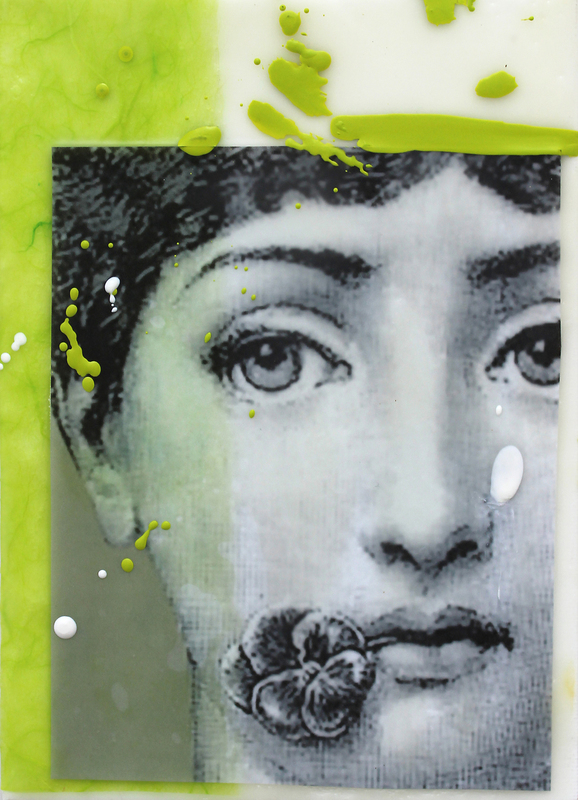 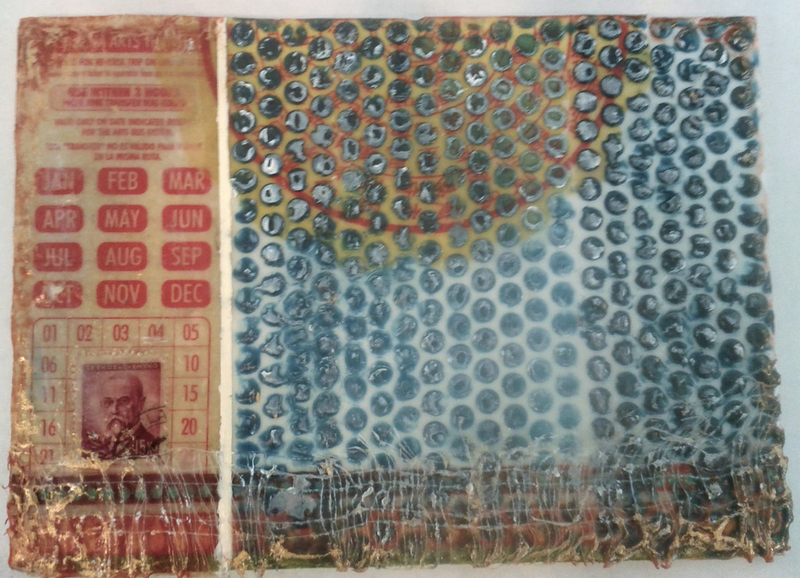 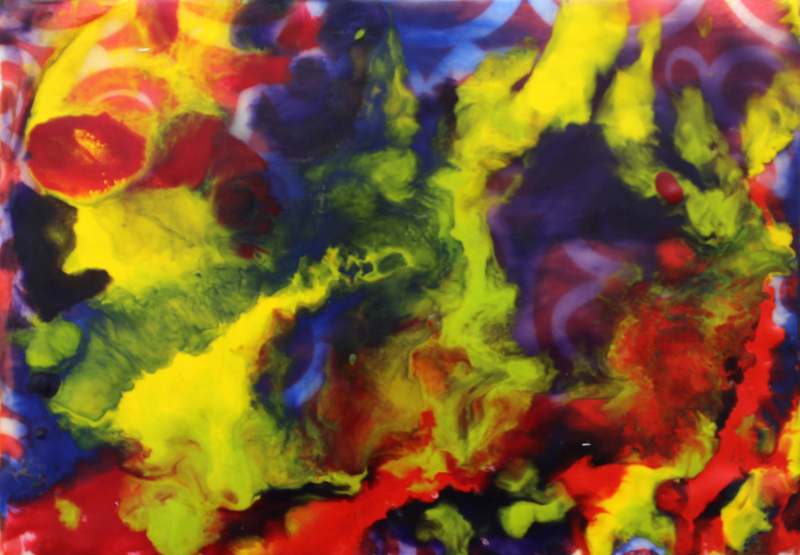 For artists and non-artists alike, encaustic offers a brand-new approach to creative expression. 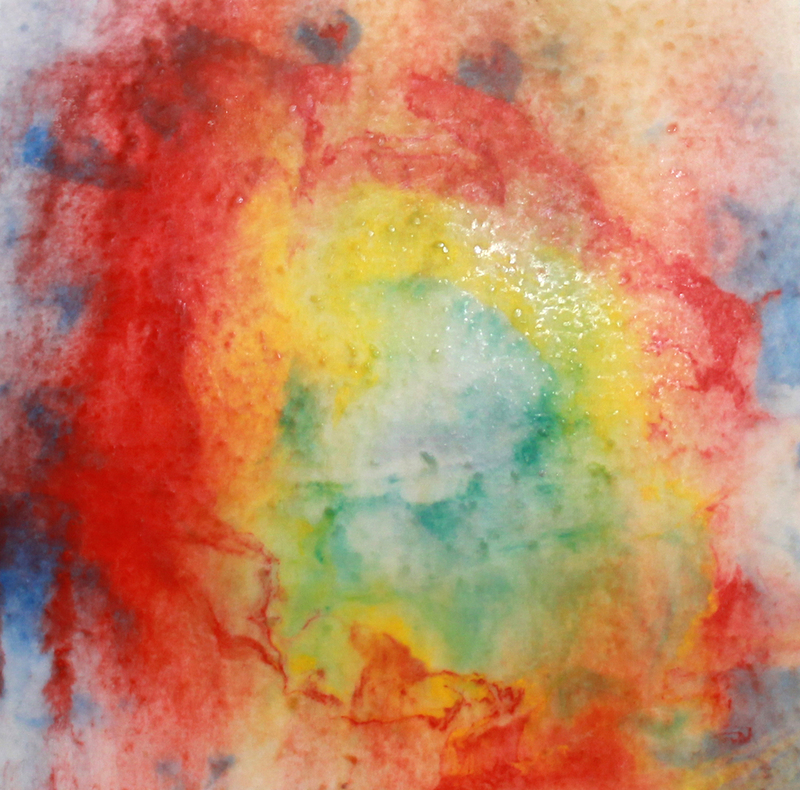 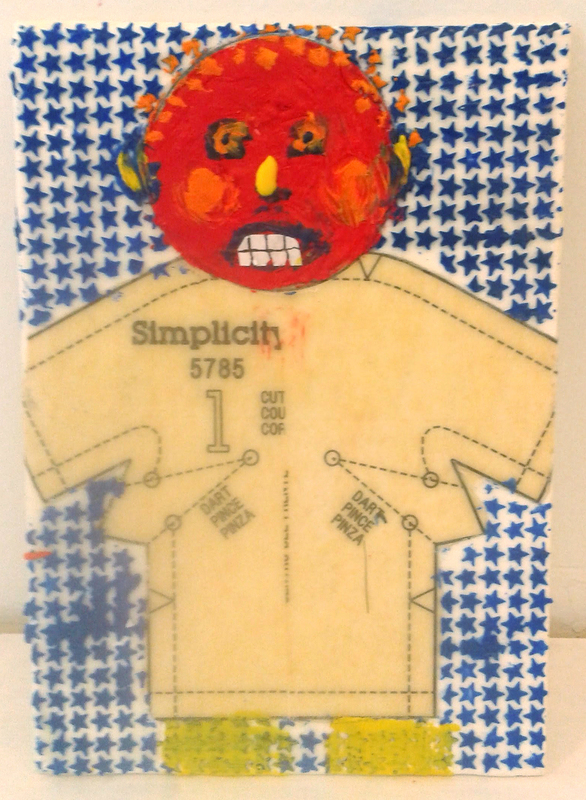 It is a versatile medium that lends itself to numerous interesting and exciting techniques. 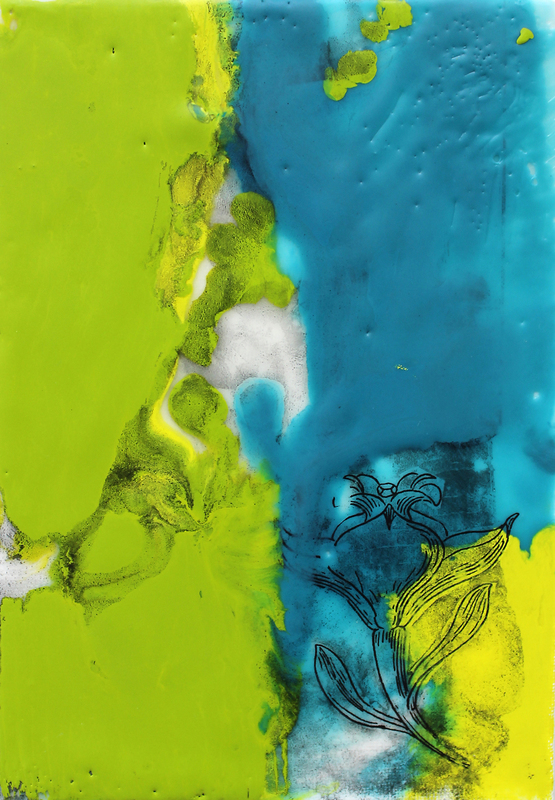 Its blend of texture, layer and color do not necessarily rely on traditional or representational drawing and painting skills. 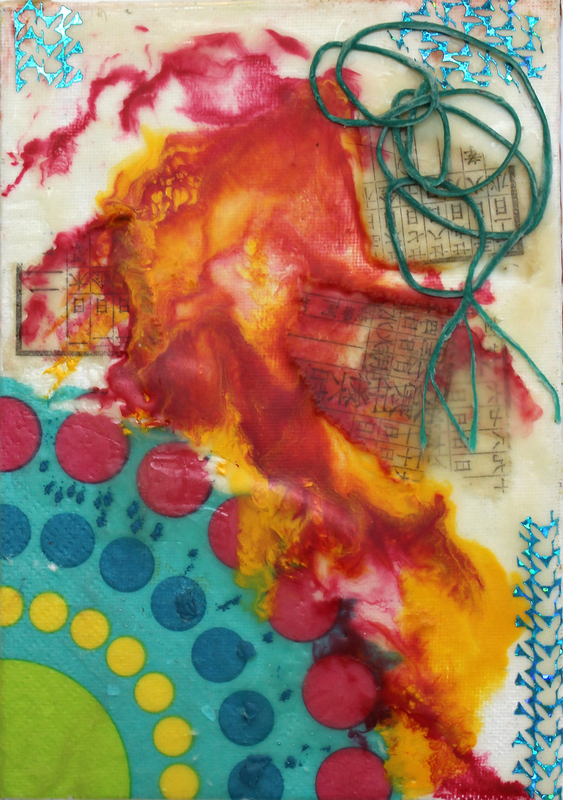 The encaustic medium is full of possibility and serendipity, encouraging the joy of exploration and the wonder of the “happy accident." 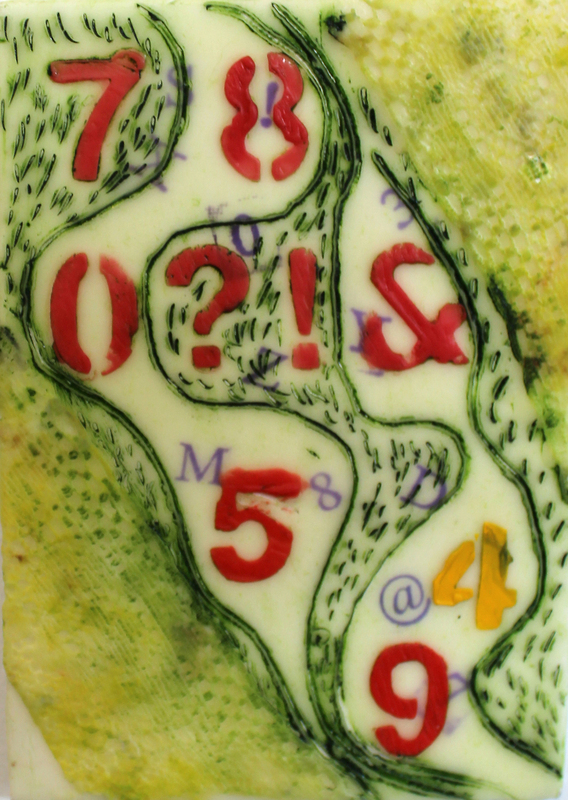 This allows students to often transform concerns of “I’ve messed this up completely” into “Wow, that’s cool. 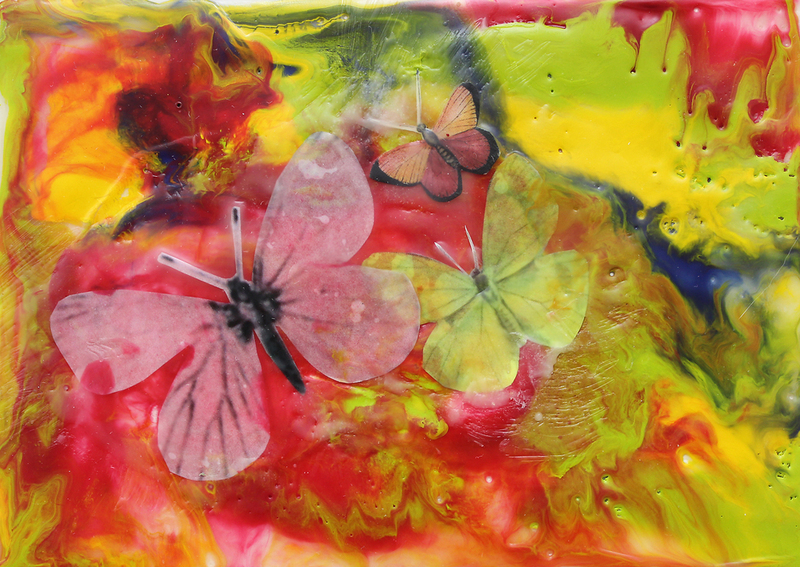 Look at what I've created!” Because of encaustic's forgiving qualities, students are able to liberate themselves to truly express their creativity - and it shows in their work. 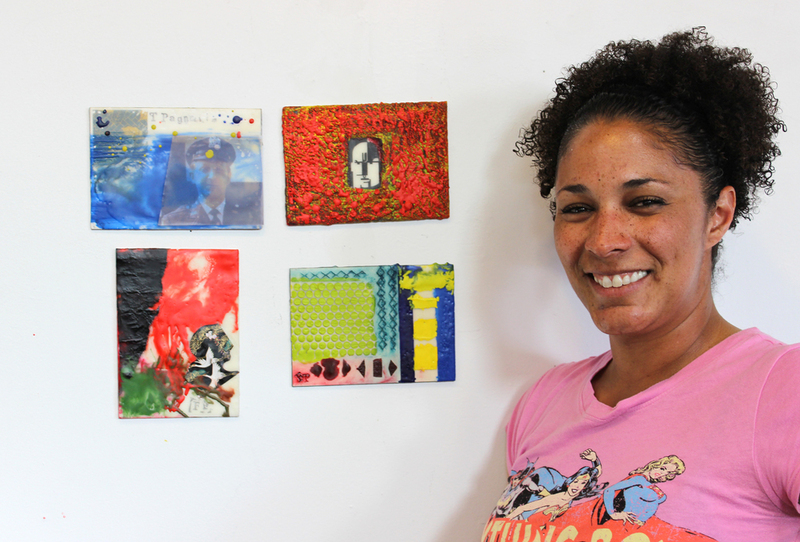 Rhonda's workshops provide a positive atmosphere, fostering an exchange of ideas and creative synergy between students. 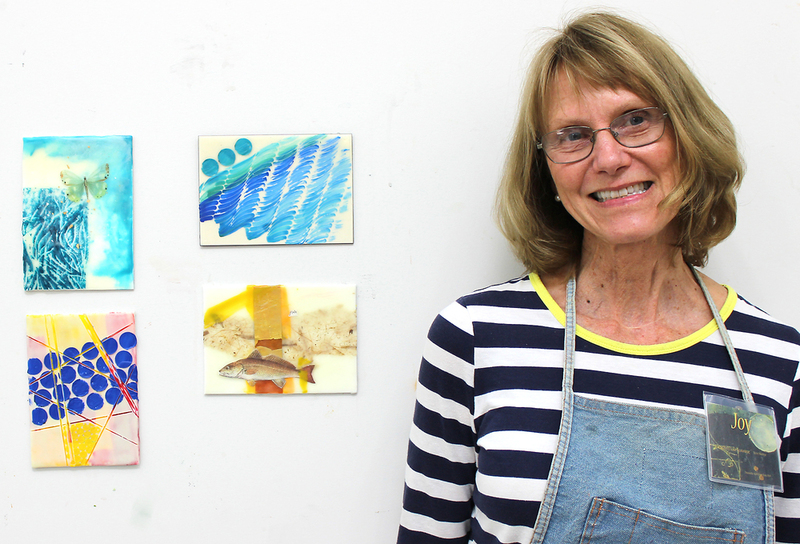 The result is that students learn not only from watching Rhonda's demonstrations, but also from the observations and camaraderie among their fellow classmates.